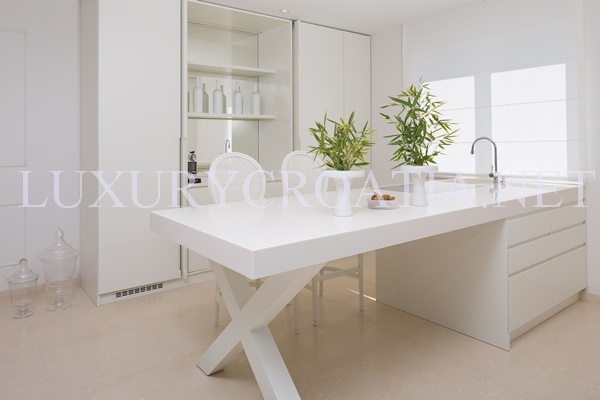 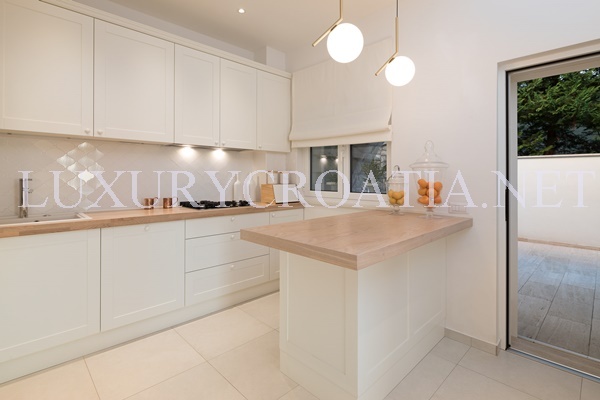 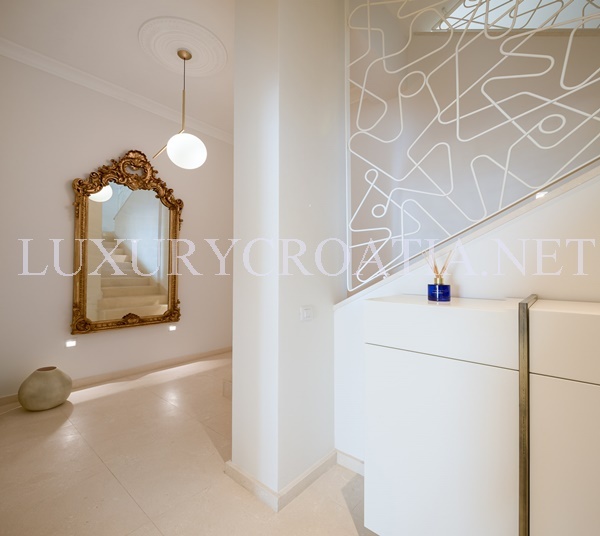 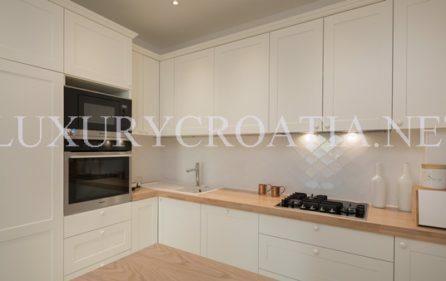 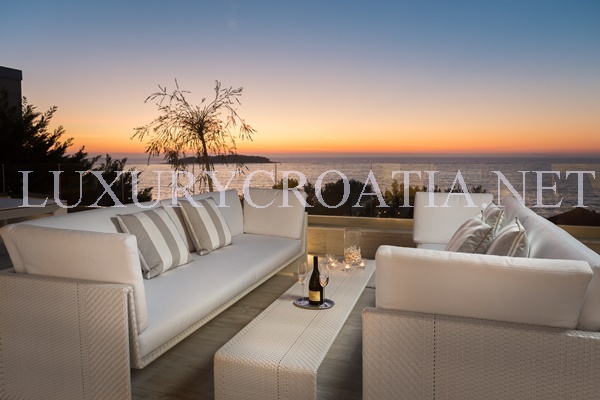 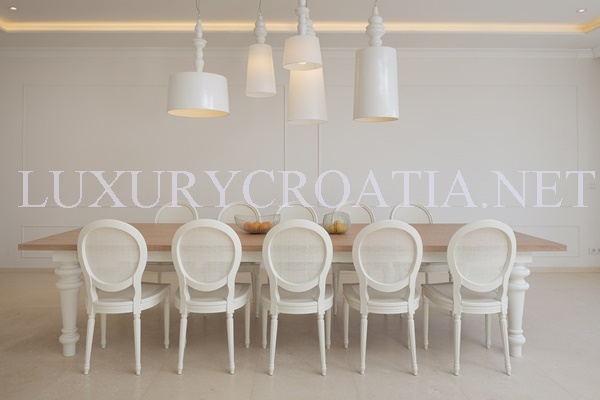 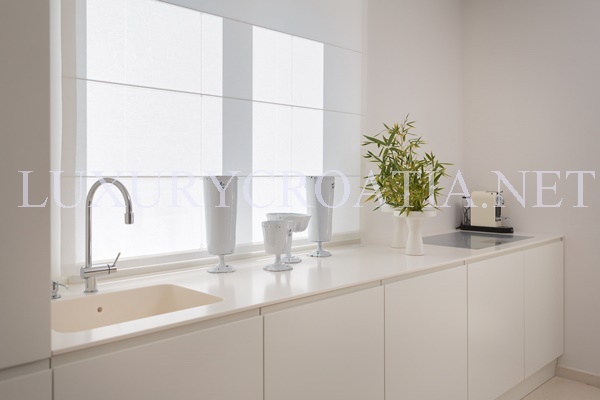 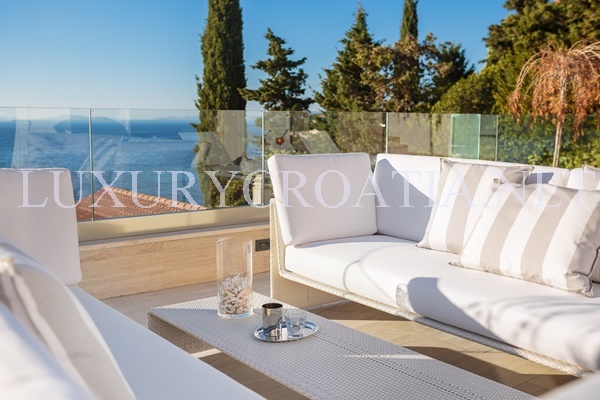 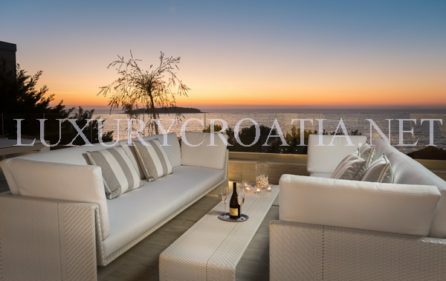 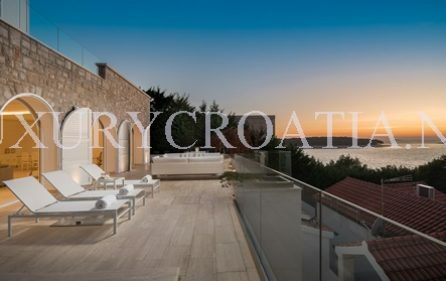 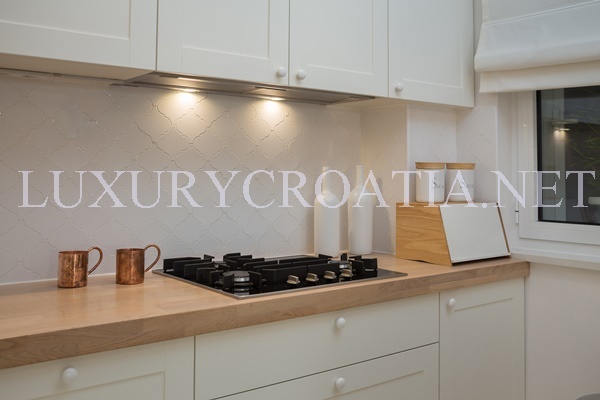 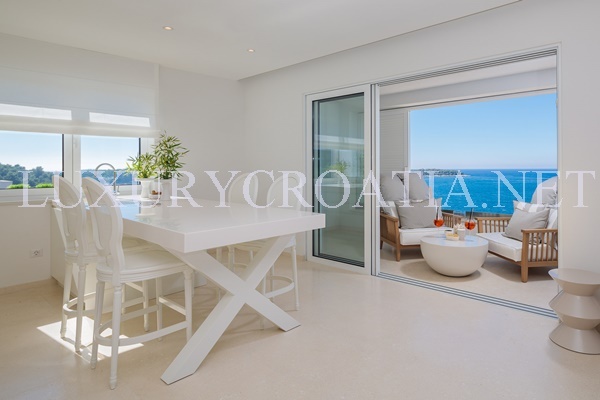 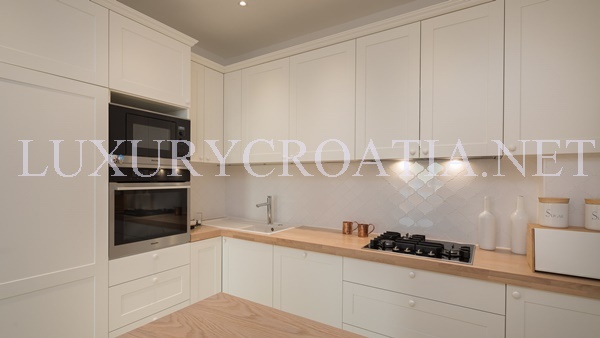 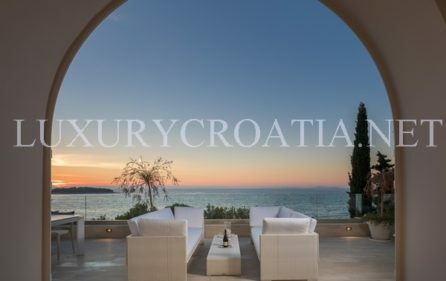 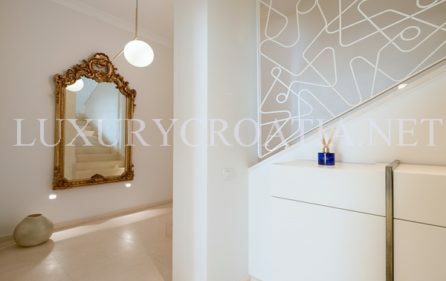 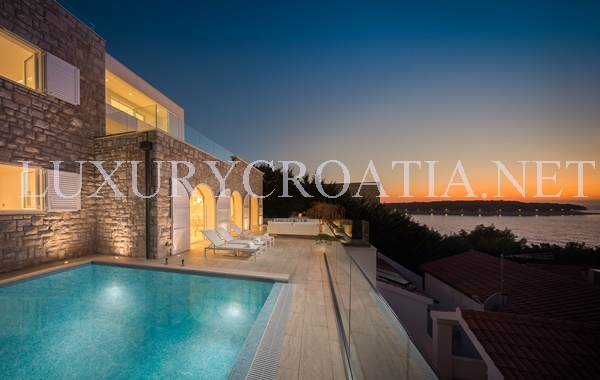 Panoramic sea view modern villa for rent, Primosten has a capacity of 14 guests. 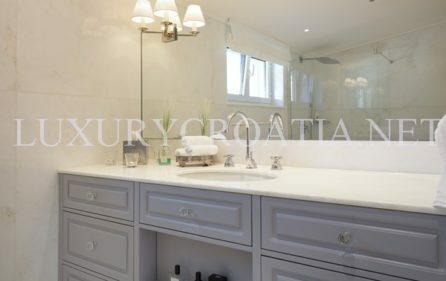 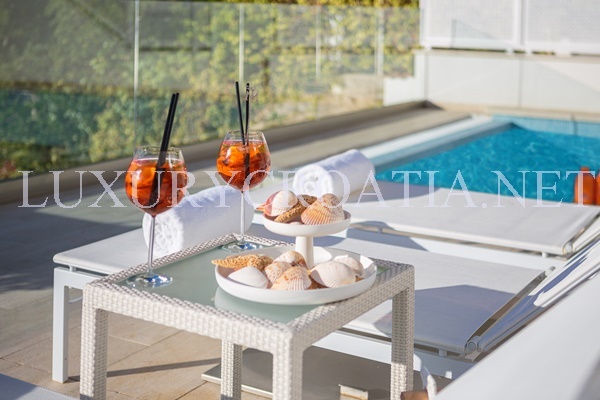 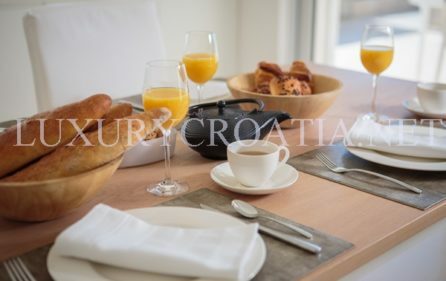 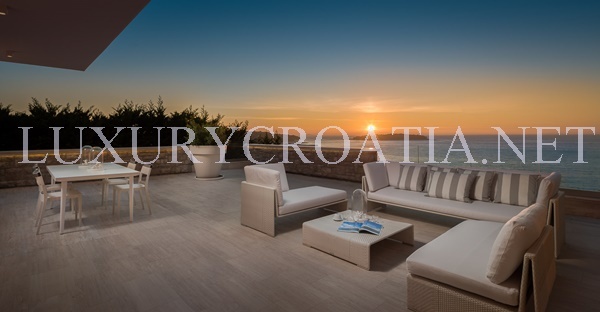 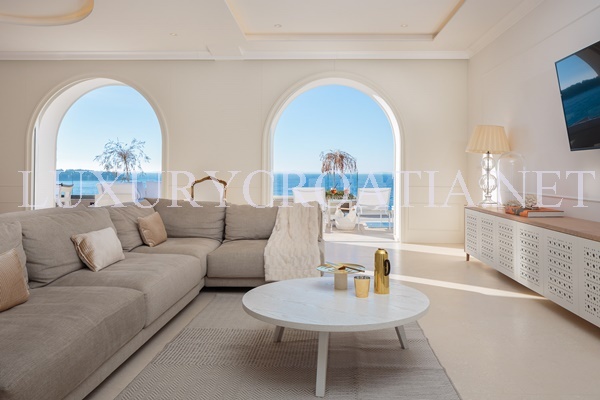 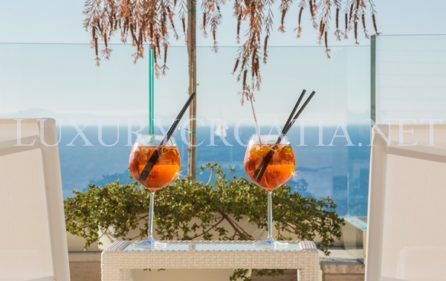 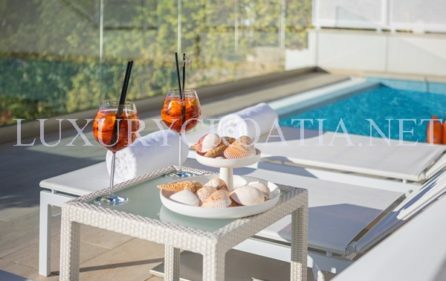 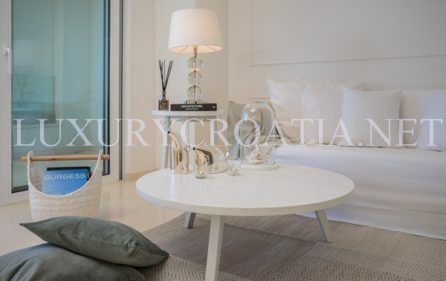 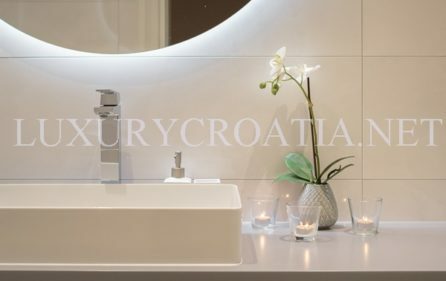 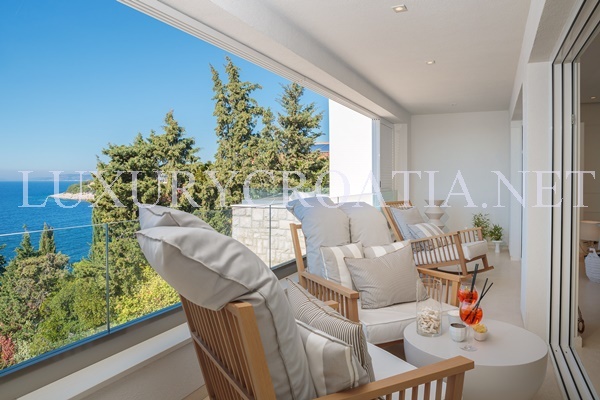 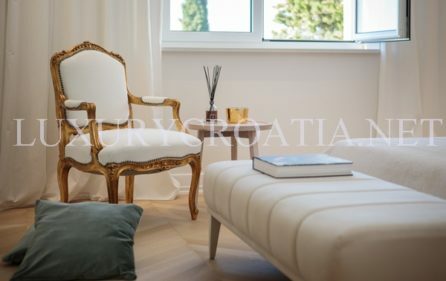 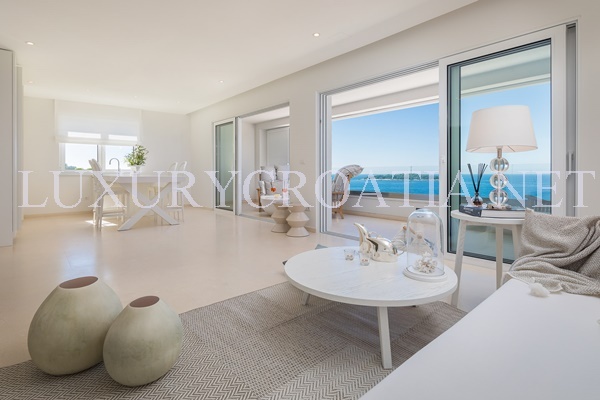 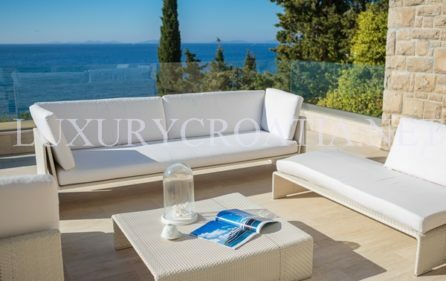 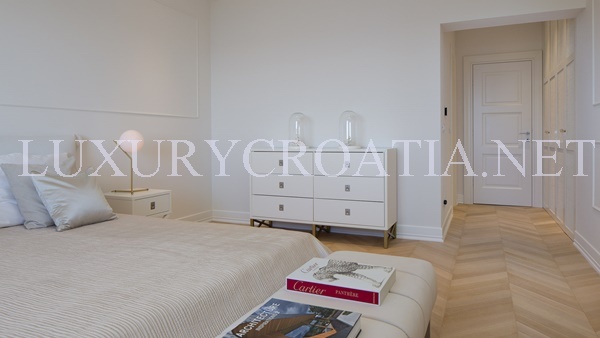 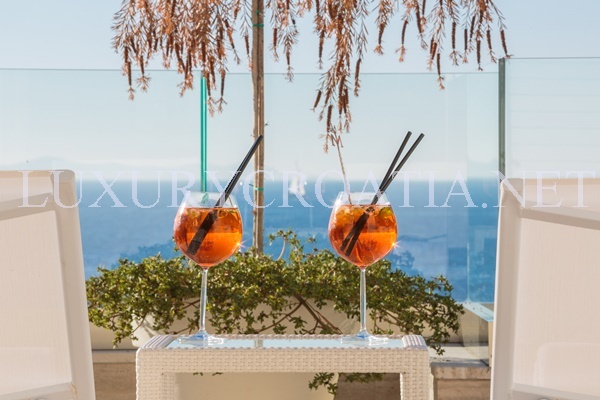 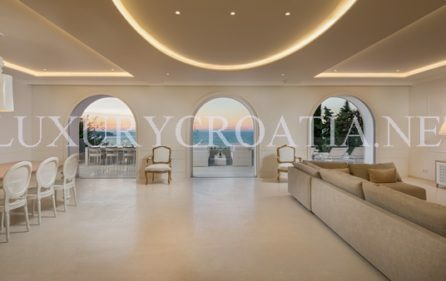 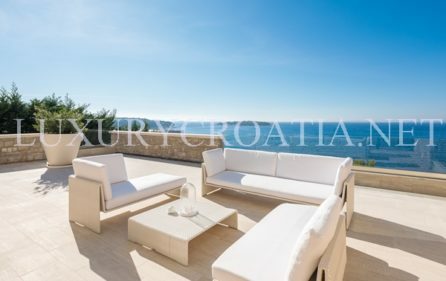 This luxury villa is situated in a pine forest next to the sea shore, surrounded by the scents of Mediterranean vegetation and cicada chirps, bathing in the sun and promising the holiday you have been dreaming of the whole year through. 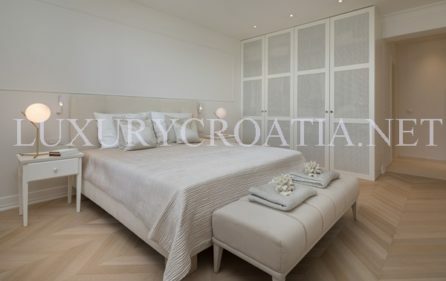 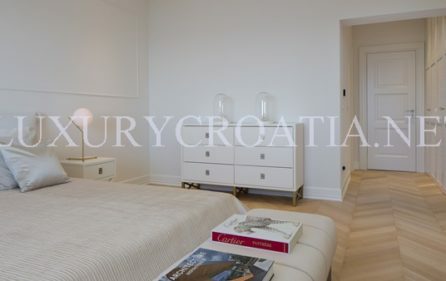 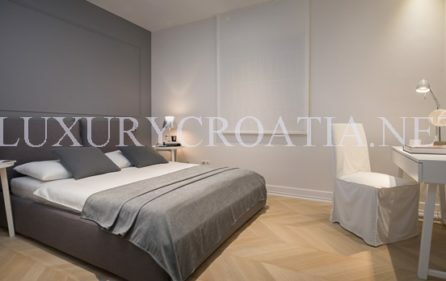 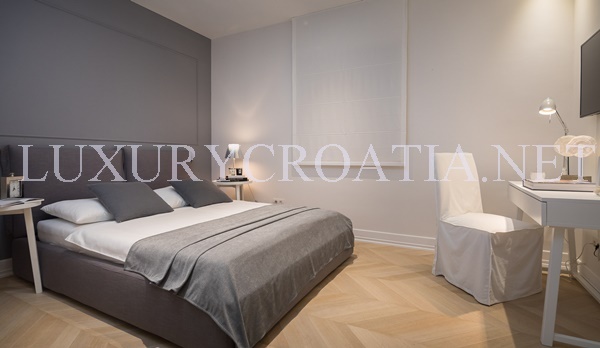 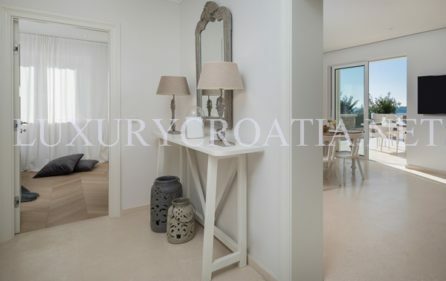 Located one kilometer from the very center of the town, it is well connected with all the facilities that Primosten offers its guests. 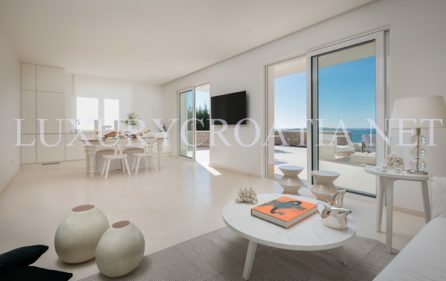 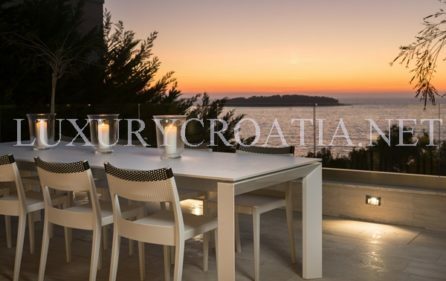 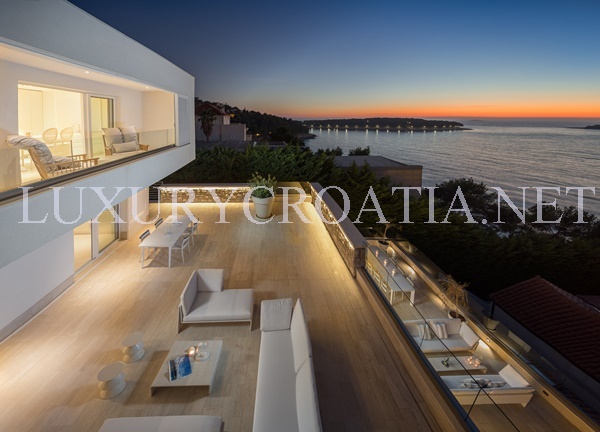 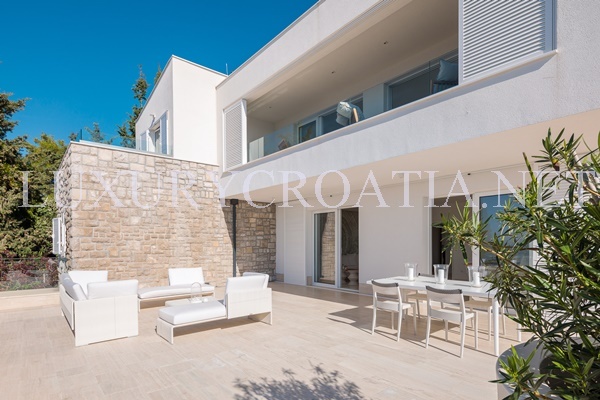 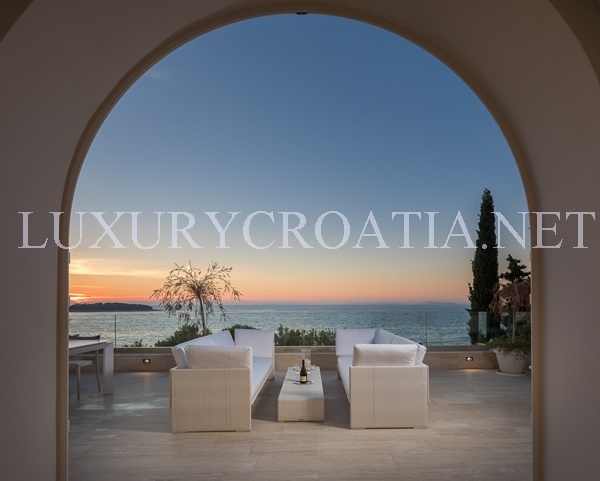 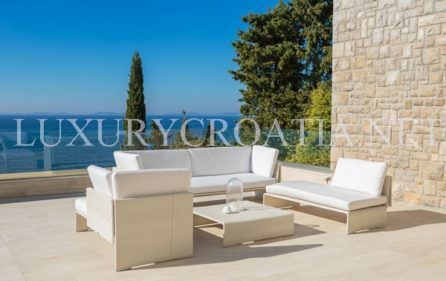 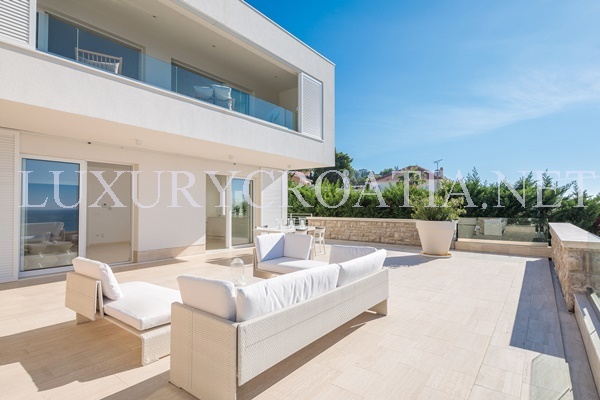 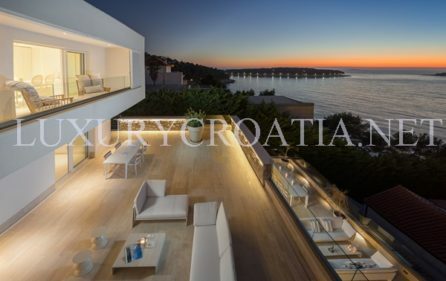 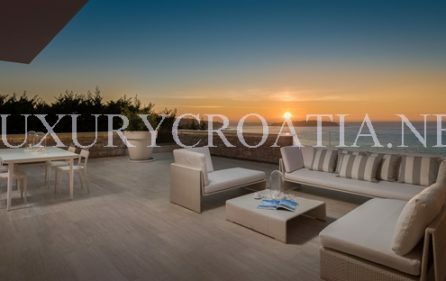 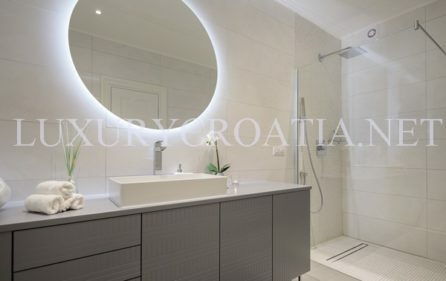 The large terrace and swimming pool are the central point of the two-storey Panoramic seaview modern villa for rent, Primosten.